The Yealink T42G is a 3-Line IP Phone from Yealink's business line of products. The T42G is simple/straightforward to configure and some of it's most notable features are HD Audio, Gigabit Ethernet, and PoE (Power over Ethernet) support. 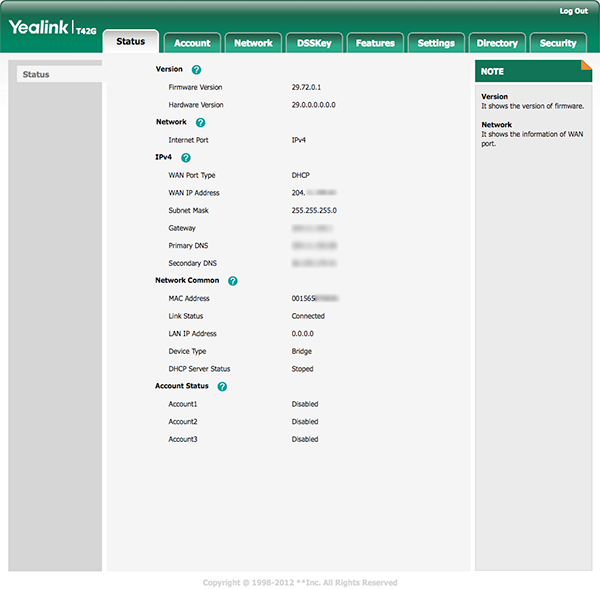 This guide is based on the Yealink T42G hardware version: 29.0.0.0.0.0.0 running firmware version: 29.72.0.1. 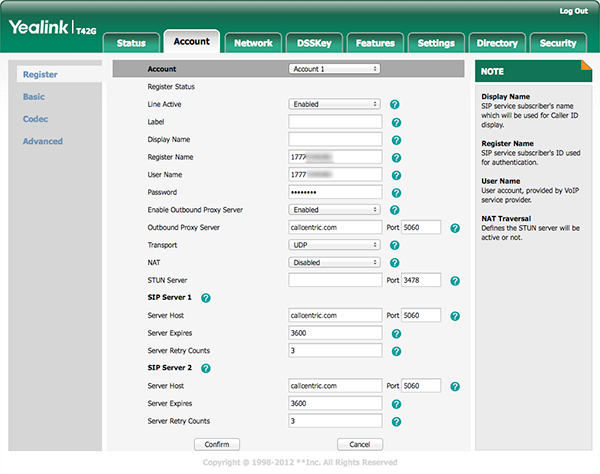 If you are running a different firmware revision some of the menus and settings may be different. These instructions are also based on using the T42G in its factory default configuration, which obtains a dynamic IP address automatically from your router using DHCP. 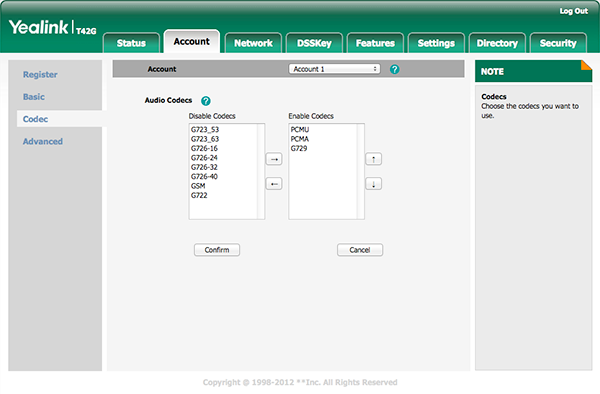 For information on configuring your T42G with a Static IP address please refer to the T42G user manual. Once you're done, you can save your settings by clicking on Confirm button located at the bottom of the page.